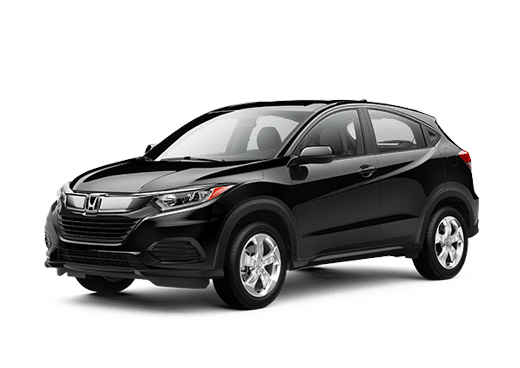 Since the first Pilot was offered for sale in 2003, Honda has continually made stunning updates and improvements to this midsize crossover SUV. 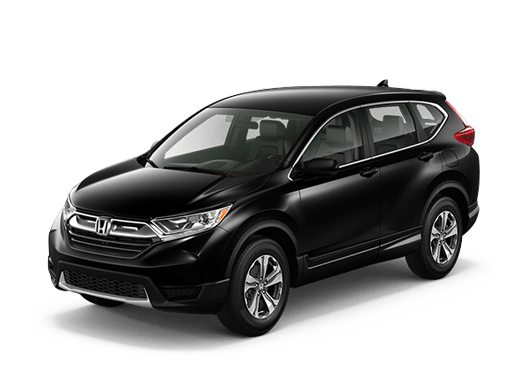 After getting more information about the features included in this year's model and about its impressive style, you may be ready to learn about lease options at Brad Deery Honda for the 2019 Honda Pilot. 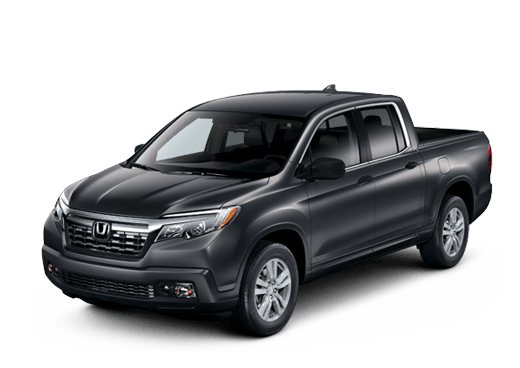 By doing so, you may easily understand why lease 2019 Honda Pilot. Our sales team is looking forward to helping you explore the many leasing options available for our current inventory. If you have not seen the new Pilot near Iowa City yet, now is a great time to head to the dealership. 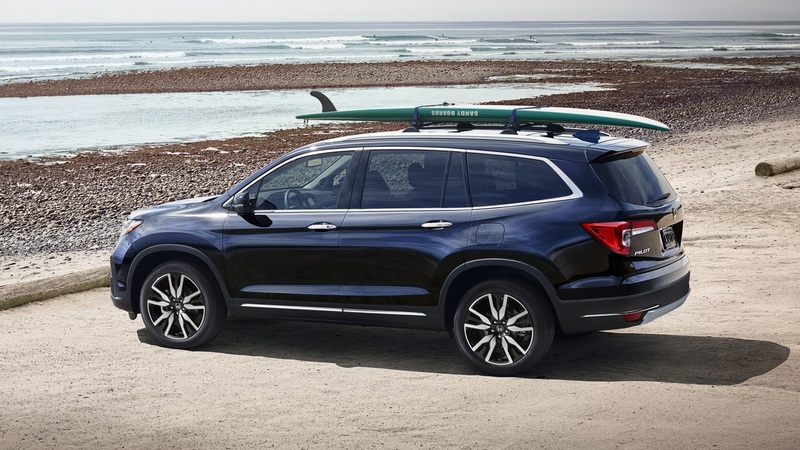 Compared to previous model years, the 2019 Honda Pilot has an aerodynamic look that is instantly appealing to most drivers. The hood has moderately crisp yet subtle edges for character, and the rest of the body has sleek contouring that gives the vehicle a modern feel. LED headlights flanking the chrome grille angle upward and feature an auto on-off feature. Other exterior features available for the 2019 Pilot include intermittent wipers, rear privacy glass, a fin-mounted roof antenna, LED brake lights, a security system, power-adjustable side mirrors, a roof-mounted spoiler and more. Upgrading to a higher trim level provides you with additional exterior features, such as larger wheels, a brake light on the spoiler, a heated and powered side mirror, turn signals integrated into the side mirrors, LED fog lights, a power liftgate, a power moonroof and numerous other features that you can learn about when you stop by our Honda dealership near Iowa City for a test drive. 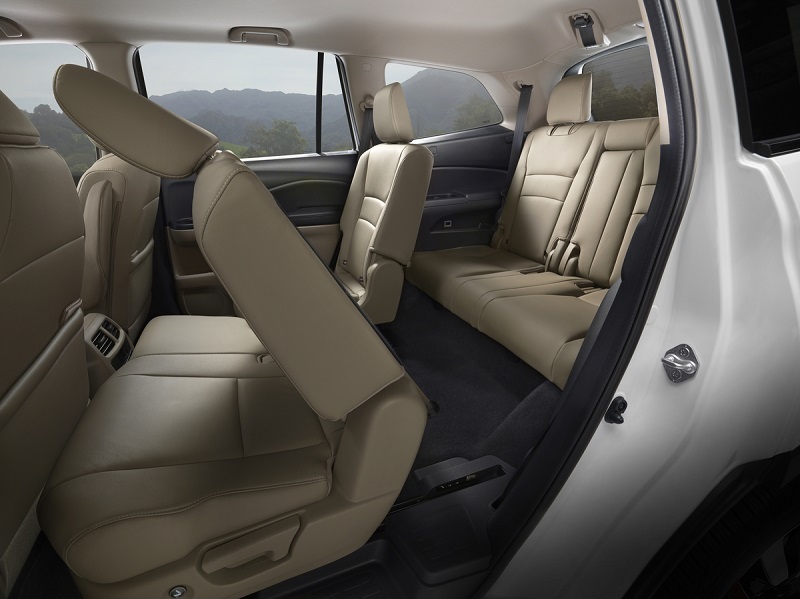 When you lease a new Pilot, you will benefit from a spacious interior and passenger seating across three rows. 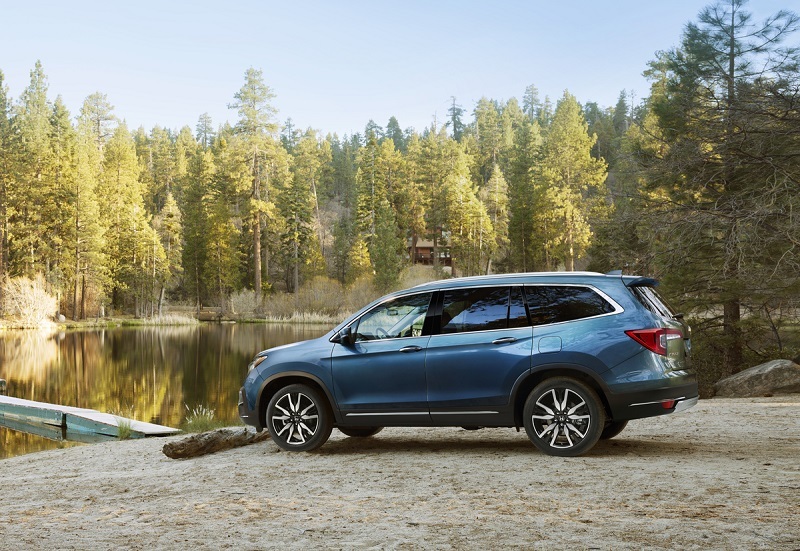 As is the case with all new Honda models, the Pilot has a gorgeous interior that places numerous tech, comfort and convenience features within arm's reach. 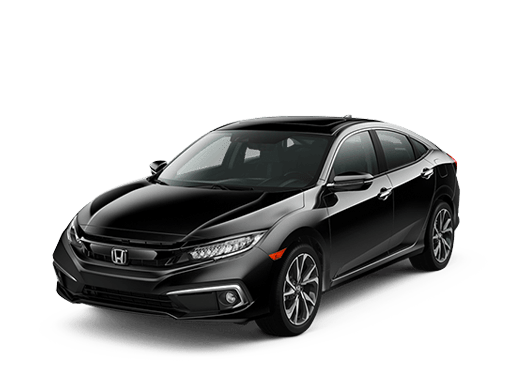 You can speak to our knowledgeable Honda sales associates serving Iowa City Moline Quincy about the five trims available for 2019. While enhanced features are available for higher trims, all Pilot SUVs are well-equipped. Standard features include power windows with a one-touch design, power door locks with a speed-sensing auto-lock feature, air filtration for the climate control system, a push-button ignition, cruise control, cargo tie-down anchors and hooks, beverage holders across all three rows, illuminated steering wheel-mounted controls, a sound system, Bluetooth technology, a 5-inch color display screen or larger, a radio data system, a auxiliary port, USB ports, 12-volt power outlets and other thoughtful features that add to your enjoyment on the road. 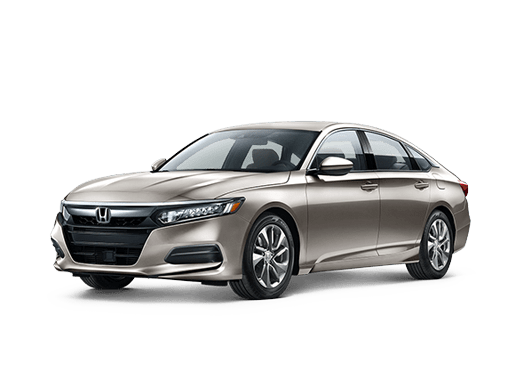 If you decide to lease a higher trim level, your Pilot may include heated and power-adjustable leather seats, a navigation system, an advanced sound system, a three-zone climate control system, Apple CarPlay, Android Auto, HomeLink and more. Regardless of whether you plan to use your next SUV as your primary family car, for commuting, for business use or for other purposes, it makes sense to lease the new Pilot. 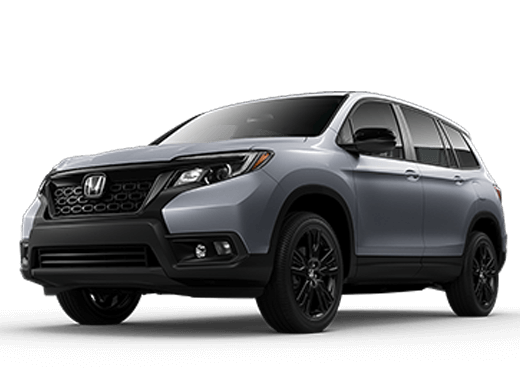 As you explore why lease 2019 Honda Pilot, the vehicle's exceptional engineering under the hood deserves a closer look. This is a powerful midsize SUV that is responsive to your commands on the road, and it also delivers a smooth ride that you and your passengers will appreciate. Mechanical features in the new Pilot include unit-body construction, a multi-link suspension in the rear, a front MacPherson strut suspension, power-assisted rack-and-pinion steering, anti-lock brakes with brake assist, ventilated front disc brakes, solid rear disc brakes, 18 to 20-inch alloy wheels with all-season tires and numerous other relevant features that combine to deliver an amazing driving experience. All five trims for the 2019 Honda Pilot are equipped with the same powertrain, so you can feel confident that you are enjoying the best driving experience regardless of the Pilot that you pick out. This is a gas-powered V6 engine that gives you 280 horsepower and 262 foot-pounds of torque. Active noise cancellation, EcoAssist, variable cylinder management, a direct ignition system with an immobilizer, hill start assist, variable torque functionality and other features are also available in the new Pilot. 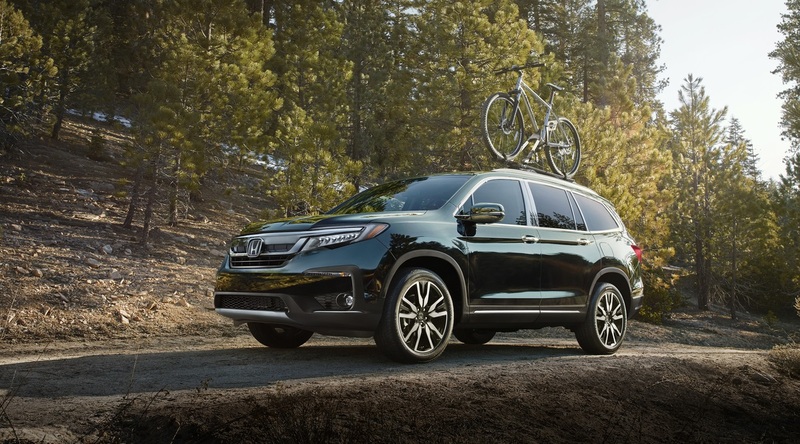 Our Honda dealership near Iowa is the place to go to get a closer look at the new Pilot. You may find money-saving deals near Iowa City when you check out our current lease options at Brad Deery Honda. A common question that our sales associates serving Iowa City Moline Quincy hear is about safety. The 2019 Pilot offers the high level of confidence and security behind the wheel that you are looking for thanks to its numerous safety features. Most trims have similar safety features, and these include collision mitigation braking, a forward collision warning, a blind spot monitor, tire pressure monitoring, advanced airbags, lane keeping assistance, auto high-beam headlights, adaptive cruise control, airbags, child safety seat anchors, an ACE body structure, front and rear crumple zones, three-point seatbelts with auto-tensioning, vehicle stability assistance, traction management, electronic brakeforce distribution and more. With exceptional features, appealing style and impressive performance capabilities, leasing the 2019 Pilot makes sense. Our sales associates serving Iowa City Moline Quincy are available to tell you about our many lease options at Brad Deery Honda. Head to our dealership soon for prompt assistance, or reach out to us by phone or email at your convenience.